SOOO Glad I got these! I got this program for my six year old son and my four year old daughter. There are four different levels or sets that are included. 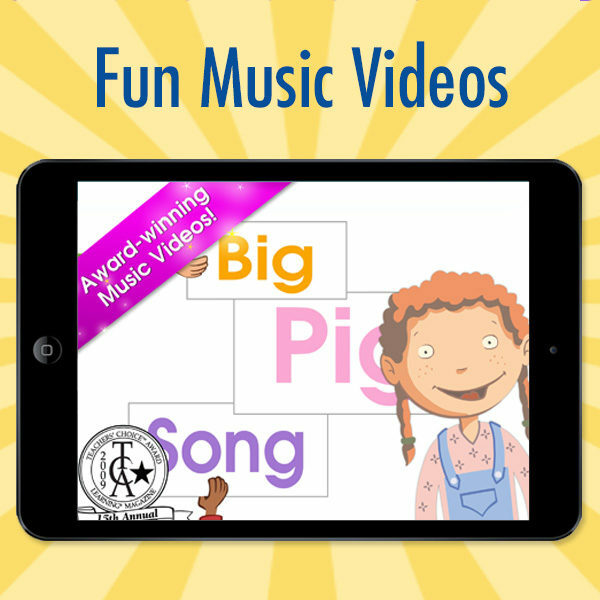 I was able to begin the first set with my four year old that went over recognizing, naming and writing letters, producing letter sounds, and rhyming words. My six year old was able to begin the program with the second set where he started to blend words together in word families and read short stories. The program comes with a DVD that you play at the beginning of each lesson which goes over the word family. 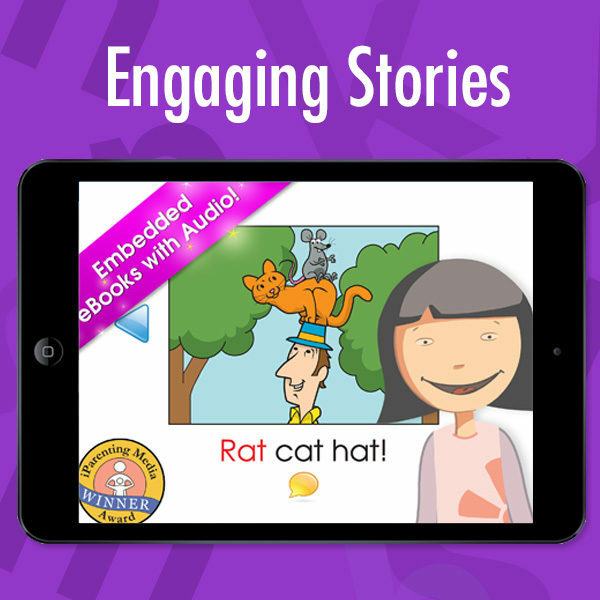 My son loves this interactive and engaging tech component so much that he can’t wait to finish his reading lessons so he can go on to the next lesson and see the next short video. My daughter is motivated to get through her lessons so she can read the story at the end of the lessons. They thought of different interests of children in order to get them motivated to continue with the reading lessons. The workbooks are colorful and formatted in a way that are easy to look at. I highly recommend this to all parents. 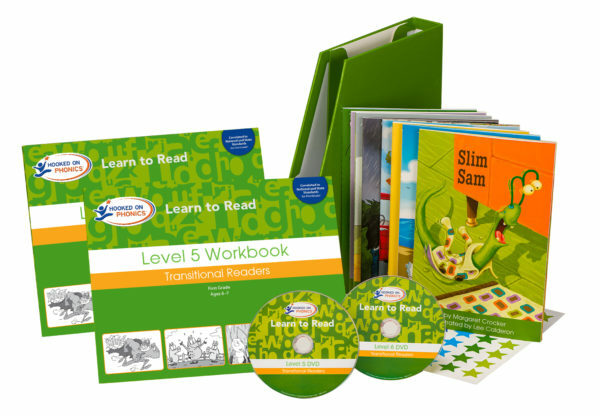 It’s incredibly user friendly and has helped me as plan reading lessons. I purchased this for my six-year-old daughter who was struggling with learning to read. She didn’t have much interest in wanting to learn either. This set is fantastic, it has four different levels and there’s two sets to each level. The nice thing about this is it’s easy to follow, the child enjoys it, and it doesn’t take a ton of time to do each day. Each level comes with books to read – my kids love all the books. It also comes with cards to play And DVD’s. We homeschool and I will definitely be using this program with the rest of my kids . I bought this to work with my three year old. We will be homeschooling her. To tell you the truth I wasn’t sure where to start. I saw this and thought it would be very helpful which it definitely has. It came very quickly after I ordered it and now every morning my daughter says mom we have to do my school. She loves it and I do too. I bought this for my 7 year old son because he struggles with reading. My plan is starting from the beginning and going through them all to refresh what he knows & practice what he struggles with. This set comes with 4 levels (preK-2nd grade) with 2 parts per grade. Each level has its own books & DVDs to go with the lessons. I am excited to use this for my 7 year old & I plan on using this for my 4 year old too! Wish I would’ve tried this sooner! English is not my primary language, so it was not easy for me to teach English to my kids. But this complete set helped me how to teach and my kids how to read step by step instead of making them memorize/familiarize words. I prefer books to DVD to use for teaching. I am using DVD in the car while traveling. I bought lifetime online version as well for ipad. My kids love to play it with their Ipads everywhere they go. It is a good learning or teaching method. I recommend this complete kit with lifetime online version. 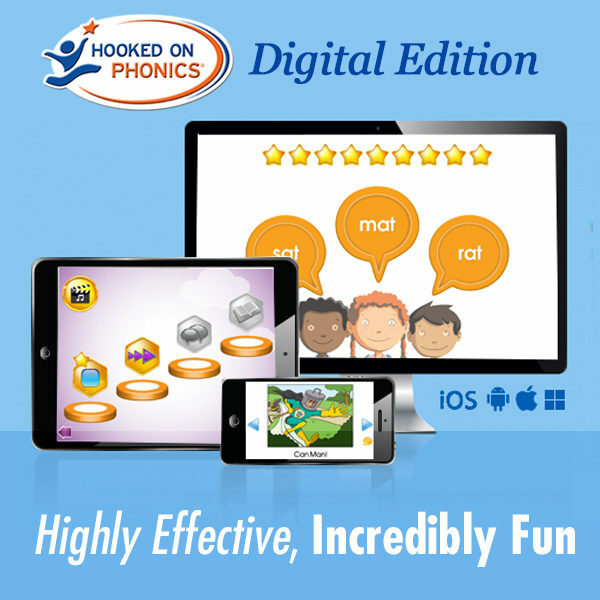 Hooked on Phonics is amazing!!! I am so happy to have Hooked on Phonics. My parents used it on me and now I can use it for my daughter. 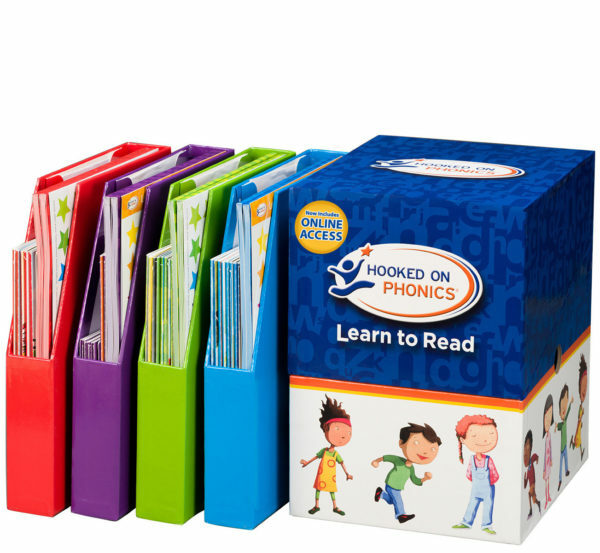 Love the pricing for Hooked on Phonics! 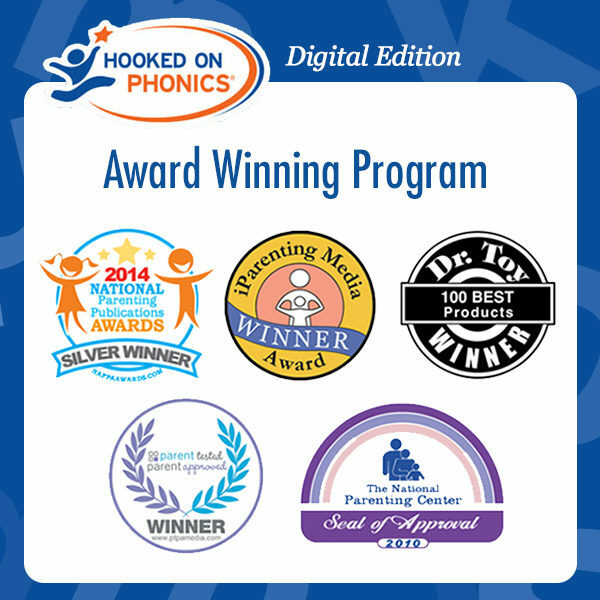 I stumbled across Hooked On Phonics when looking for a better deal on programs for my children. At first I was a bit leary of HOP, since I had never heard of this company and the price was so cheap for the amount of things they provide. I have told several people about this website, I only regret not having stumbled across it sooner! I am glad I stumbled on this amazing deal! I can’t wait to use the program with my son! A must-have for Kindergarteners not yet reading! I’m SO glad I bought this kit! My daughter has had such a great time working with the program (which was a bonus to me) and she’s now reading! Her Kindergarten teacher recognized she had gained 13 letter sounds and 6 points in spelling with just three Hooked on Phonics Chapters! It works. It works great. Not much more to add. I am a huge supporter of Hooked on Phonics. In college and law school, I tutored reading using Hooked on Phonics. Now, as a mom, I have used Hooked on Phonics with my children and my older two read far above their reading levels. My oldest started reading at 4 and my younger daughter at 3. They are now 4.5 and 6 and have each read Boxcar children books and Charlotte’s Web. People are always very amazed at how well they can read. There are four sets (2 levels each). The red box focuses on letter formation and recognition and letter sounds. At this point you are working more intensely with your child and reading the storybooks to them. 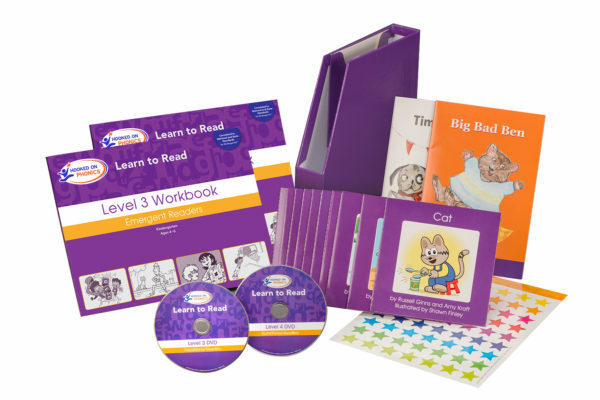 Purple has kids start reading independently three different ways – drilling/games to practice word families and sight words, short stories in the workbook, and finally actual short books at their level. The green box starts students on blends like “ch” and “fl” and ends up with basic compound words. Finally the blue box gets into harder things like “kn”, how to know when c or g are soft, etc. The red box gives lots of support to parents who aren’t confident teaching the alphabet, and starting with purple, a motivated on-task student can work independently most of the time. In the green and blue levels there are some interesting things like a recipe and simple paper-crafts to do, even a page of fortune cookie sayings. If you are thinking of using this for more than one student, just don’t do the stickers on the pages and photocopy the pages that have coloring/cutting activities. The red workbooks are meant to be written in but we just had our student trace the activities with a finger and then copy the letters in a pad of writing paper. Students are able to work at their own pace and lots of review is incorporated, which is very helpful. 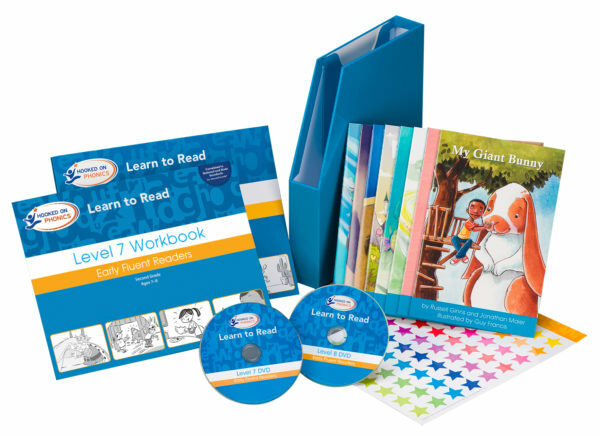 This set would be great for a new homeschooling family, but if you are using it for K-2, keep in mind that it only covers reading and basic capital letter formation, not writing, parts of a story, or comprehension. The little readers are the best part of this since the kids love being able to read a real book. I did give this 4 stars instead of 5 due to some technical issues with the digital portion of this purchase. Hopefully they will be resolved by the time you purchase yours! It is interesting to note that a few of the reviews are dated in the future. How does that happen? I have not purchased the product-I was going to until I saw the pre-dated reviews–sounds a little off to me. Hi Debra, wow that is so strange. I took a look and something wonky was going on with the dates in the system. Sorry about that but we hope that doesn’t deter you from trying out our Learn to Read Program. 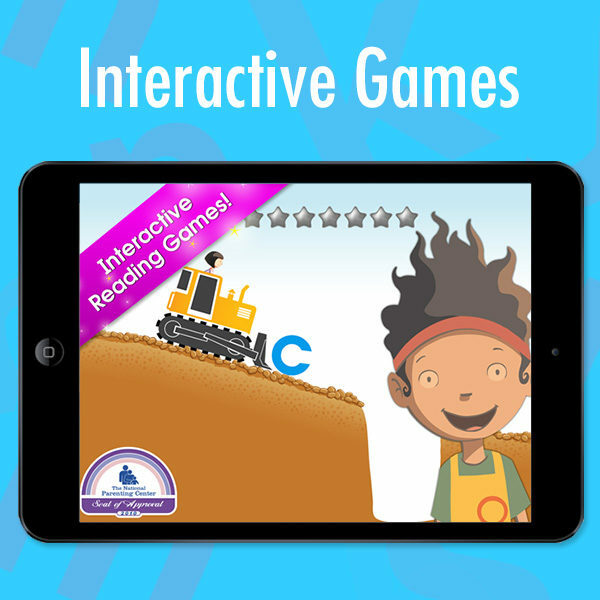 It truly is a wonderful program for children to get a head start on building their reading skills. 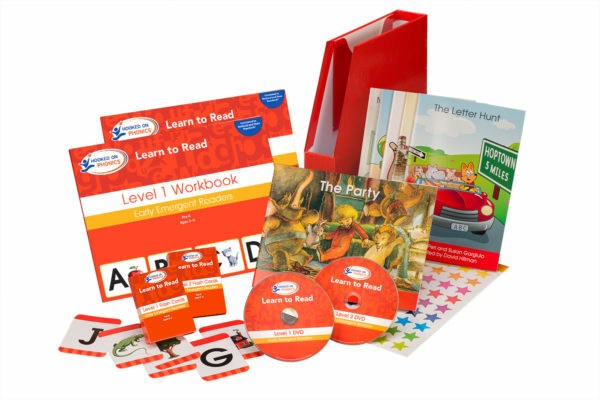 You get so much engaging content through workbooks, DVDs, and digital content that we’re sure your little one will have a blast each day! My father-in-law bought this in late 80’s, early 90’s for my kids. It was on cassettes back then. Awesome. I’m ordering it for my grandkids. I give it a 5 out of 5. I am proud to say that I learned to read with hooked on phonics when I was in elementary school. I had no idea it was still around. I am now in my 30’s and I’m homeschooling my children. My son, who just turned 5 tried out the app and his confidence sky rocketed after just two lessons. I am definitely purchasing this set for our homeschooling curriculum. That’s wonderful to hear! Thank you so much for sharing your experience with us. 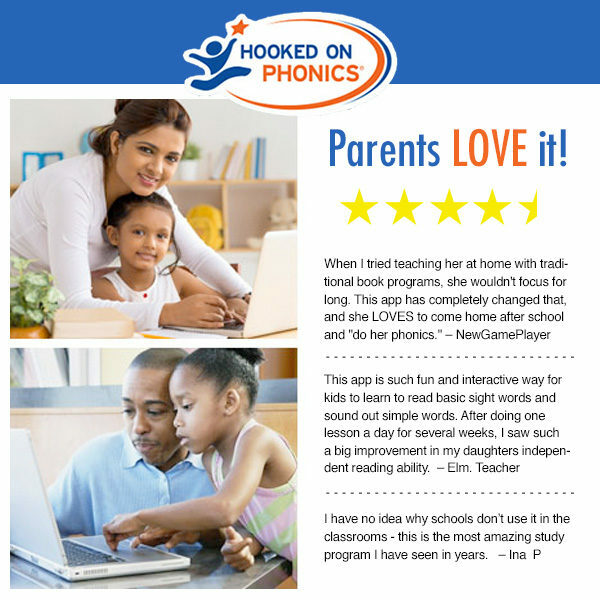 We love hearing from parents who pass down the Hooked on Phonics tradition to their children. Best of luck! My daughter ejoyed being read to at an early age. She started reading when she was three. I looked for reading programs (1992) to enhance her reading and came across Hooked on Phonices. I started the program with her and she took off! She loved the program so much. I highly recommend HOP!! It’s simple and easy to use. Im odering a set for my granddaughter. I can’t wait to see her emerge into a fantastic reader. Best gift a grandparent can bless their grands with, is HOP. I used this product for my 3 sons 27 years ago. What a life changer. They were valedictorian in gifted and talented schools and able to read at 3 yrs old. Not just picture books black and white books. My sons today still say to me remember when when we had to do hooked on phonic everyday. They loved it and swear by it today. They will buy it for there children in the future. I recommend this to everyone. 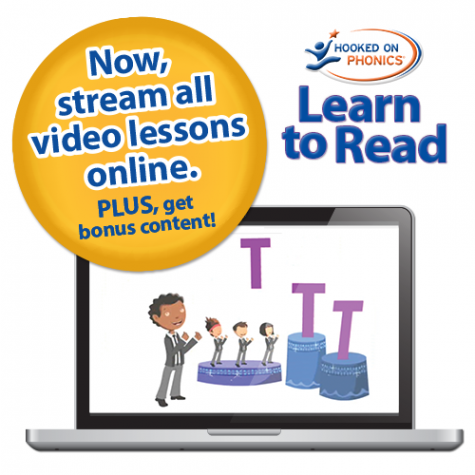 I learned through hooked on phonics but when I saw the program had changed I hesitated. I wish I hadn’t! My 5yr old LOVES doing these lessons. It’s been a huge confidence booster for him. I love it because I can do just a few pages a day. It builds really well (you learn words and then do a little cartoon with the words you learned, then a book with all the words). I highly recommend it.